Nokia Lumia 505 is getting the official entry in the smartphone market and the Mexico is the first nation to get it. Nokia Lumia 505 is a Windows 7.8 smartphone and very much similar to the Nokia 800 in appearance. It is a budget smartphone, so the features are according to that only. - 11.3 mm thick and weighs 131 grams. 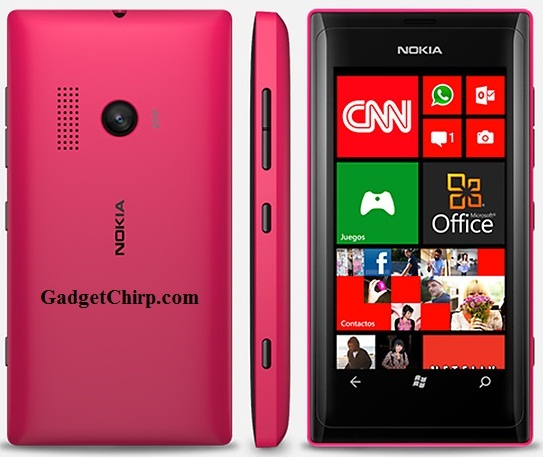 Nokia Lumia 505 will be available in three colors - Black, Pink and Red. As we can see, the highlighted feature of the device is the camera and the biggest drawback of Nokia Lumia 505 is the low RAM.